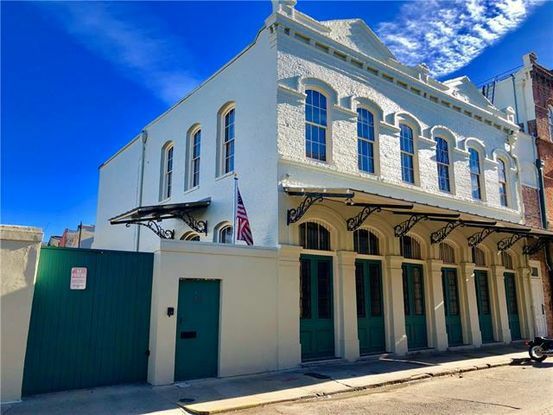 This listing is your opportunity to own a house in the oldest neighborhood in the city, filled with all the artifacts New Orleanians love: high ceilings, exposed brick walls and modern, large rooms. 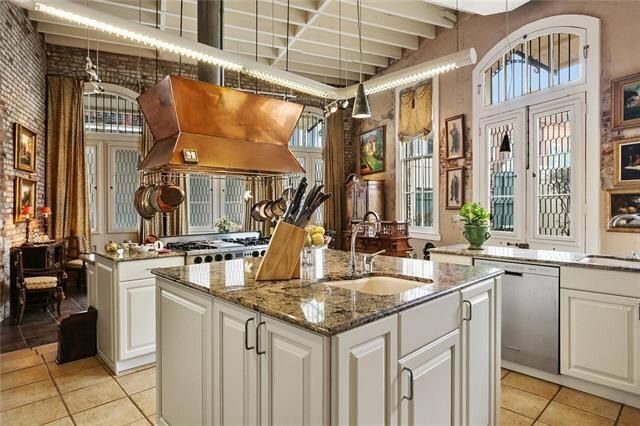 The kitchen is absolutely huge, with an eat-on island, exposed ceiling beams, a copper hood and an easy-to-clean slate floor. It also has room for a breakfast area and plenty of space to hang pots and pans. The windows of this house are most unusual: they allow light to filter in, but offer plenty of privacy. They also give the place a baronial manor feeling. The master bath is also huge, with plenty of room for all kinds of bath supplies. Meanwhile, World War II brought thousands of servicemen and war workers to New Orleans and many paid visits to the Vieux Carre. Although nightlife was lively on Bourbon Street in the two decades following the closure of Storyville, the war produced a larger, more permanent presence of exotic, risqué, and often raucous entertainment on what became the city's most famous strip. More of the neighborhood was developed to support tourism, important to the city's economy.